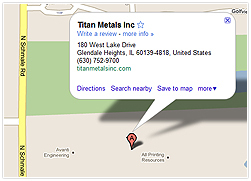 The FMS laser system is the newest technology available, and TITAN Metals is leading the industry with the first of its kind in Illinois. When combined with Ncell™ software, the fully automated Mitsubishi™ laser allows us to enter your work order and create a flat part in just hours. 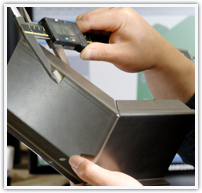 Bring us an electronic file, and we can produce a flat or complete part in as little as 30 minutes! With FMS laser, we can provide you with a superior product while reducing your costs and lead time. Engineering Our engineering process is simplified with the use of software such as ProE™ and AutoCad™. We can import your files and communicate with you electronically. NCT Punching We utilize high-speed turrets equipped with brush tables to punch high-quality flat parts at competitive prices. 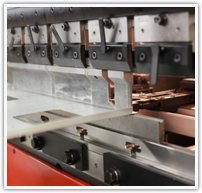 To minimize setup time, assure precision and accuracy, and create a repeatable process, we use a computerized press brake system. 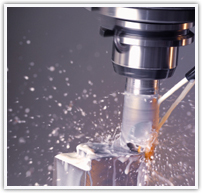 Our CNC Machining Centers allow us to create production, prototypes, tooling, and fixtures with precision at competitive rates. 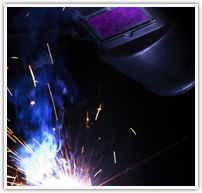 Comprehensive welding services are yet another part of our turnkey offerings. Assembly We have electrical and mechanical assembly capabilities to meet your needs. Our production facilities are operated using State-of-the-Art Quality Control techniques and equipment beginning with raw materials and ending with on-time delivery to you. Order Tracking and Scheduling Keeping track of your order is important to us and is accomplished through the use of bar code scanning at the beginning and end of every manufacturing process.